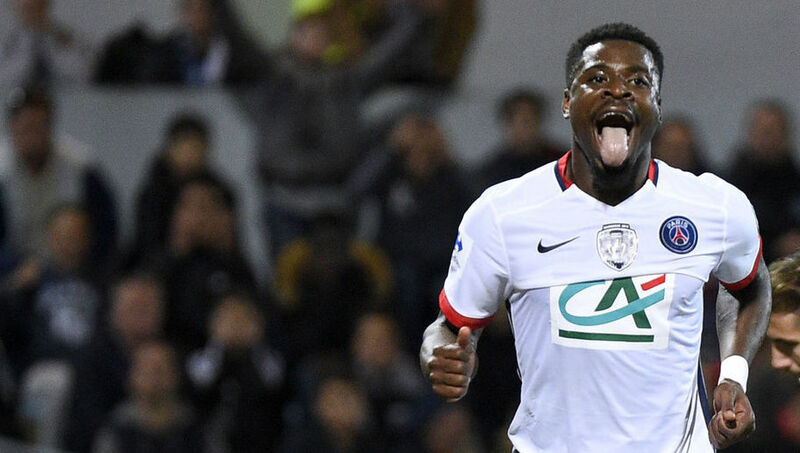 Paris Saint-Germain’s controversial right-back Serge Aurier is in hot water once again. Reports in France indicate that the defender was arrested in the early hours of Monday morning after an altercation with Parisian police. ​According to 90mins sports, the 23-year-old was arrested in the French capital at around 6am after exiting a nightclub, claiming that the group Aurier was with insulted patrolling police officers, leading to an altercation after which the Ivorian was arrested for ‘insults, contempt and mild violence’. The incident is far from Aurier’s only brush with controversy this year, having been suspended by his club in February after a bizarre live video stream on Periscope saw him insult coach Laurent Blanc and a number of his PSG teammates – none of whom appeared particularly impressed when the video later came to light. He issued an apology shortly afterwards but the damage was done, resulting in an ‘indefinite’ suspension which eventually ended after around six weeks. At the time, he said: “I made a big mistake, I am here to say sorry to the coach, the club and my team-mates, and to the supporters because they are the most important people. “I want to apologise especially to the coach, I can only thank him for all he has done for me since I arrived in Paris. He wanted me and since I came here everything has gone really well. I owe him a lot and that is why I apologise sincerely to him for what was said, which I deeply regret. Again Emenike Scores as NFF Urges Spartak to Release Him for Bafana Friendly.